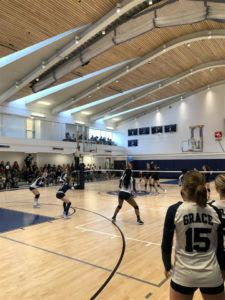 On the Weekend of October 20th, Grace Church School’s first ever Homecoming weekend took place. 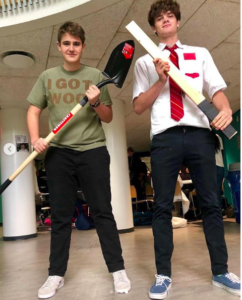 Throughout the weekend, students took part in activities ranging from themed costume days to varsity games, culminating in the much anticipated Homecoming Dance. On Saturday, October 20th, both the Boys and Girls Varsity Soccer teams had games in Central Park against Friends Seminary. The Boys Varsity game got off to a fast start thanks to a great goal by Chase Gardner ‘20 in the opening minutes of the game. Then, in the second half, Gardner got his second goal with an absolutely amazing strike from about 30 yards out to give the lead back to Grace. The win was capped off late by Sebastian Morris ‘21 with a nice finish. 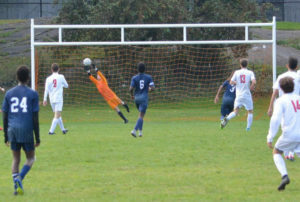 Strong team play, great goals, and a beautiful save from goalkeeper Sam Perman ‘19 led to a 3-2 victory. The Girls took the field for the second half of the doubleheader. The team played very well, with many strong offensive opportunities created by attackers Ava Pingree ‘19 and Lena Arnsten ‘21. Goalkeeper Rania Challita ‘22 made countless saves throughout the game, but none bigger than the many consecutive shots she stopped from the ground in the dying minutes of the game. In the end, the girls fought hard and came out with a tight 0-0 draw to cap off an eventful day in Central Park for Grace Soccer. The Homecoming dance which took place on the night of October 20th received a mixed reception from students. Luke Eisman ‘20 said, “It was a good effort considering it was done by one person.” According to Luke’s statement, the dance was alright, but gave insight to what could be improved for dances to come. 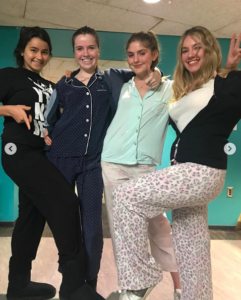 Kaitlyn Major-Hale ‘19 said, “I thought it was a super fun environment, and the seniors were the life of the party.” For seniors who attended, it seems that the dance was all they could have hoped for in the three years prior when they did not have a homecoming dance. For others, this was not the case, Chloe Strauss ‘20 said: “It’s not a city thing. It felt forced.” For some, the concept itself seemed so foreign to Grace a school which prides itself as being different from the typical high school. Overall it seems that the dance was successful for what it was, an attempt to create a tradition at a non-traditional school. 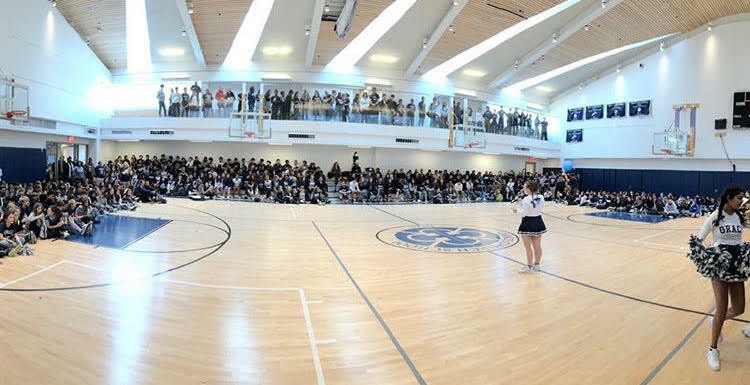 Overall, Homecoming has validated Grace as a fully united, strong spirited high school that honors and celebrates our sports teams, as well as included the whole student body in an exciting week-long event.